I’m in this funny video with Ann Maddox, Emily Burkart, and Amanda Miller, made by the awesome Becca White and Katy Sullivan. If I remember correctly the champagne we were drinking was real. Woo! 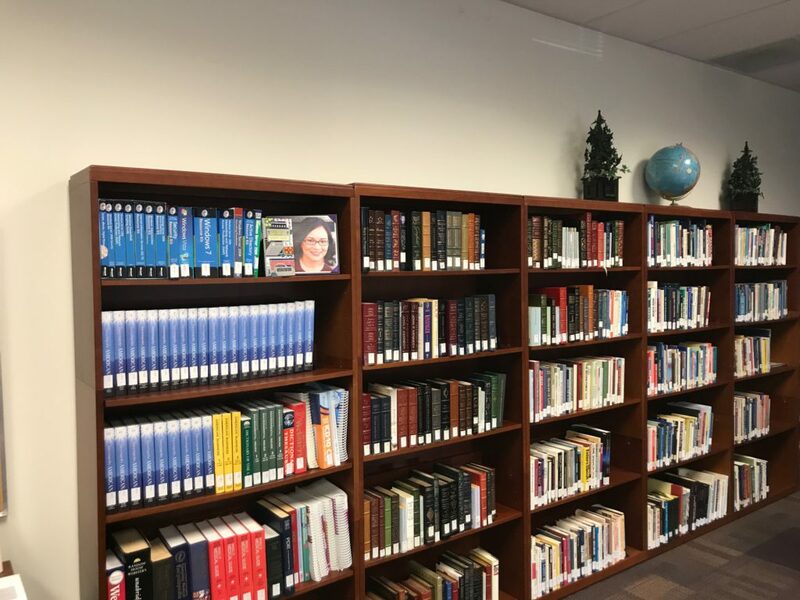 My book is now in the library at American National University in Kentucky. It’s a required resource for IT students, as an example of how society reacts to technology. I am honored. They did a cool little display and everything. 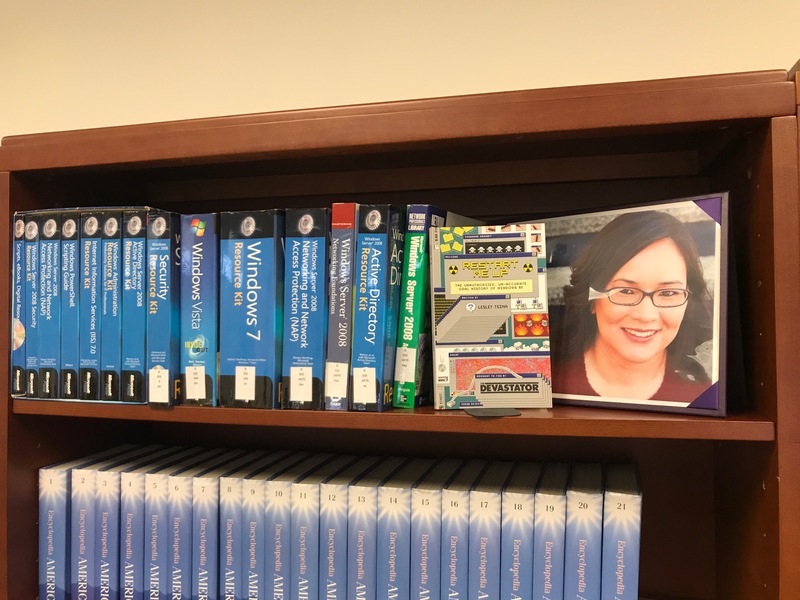 I am also really amused that I am on the Windows shelf. This is basically the best thing ever. 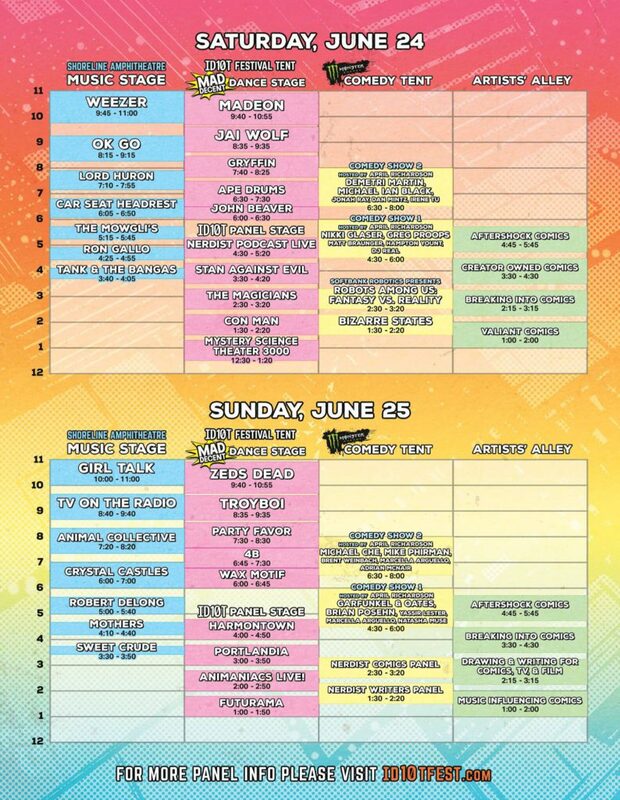 Rare trip up to the SF Bay Area this weekend for Chris Hardwick’s Id10T Festival. I’ll be signing copies of Restart Me Up and manning the booth with The Devastator. We are in Exhibitor Village, Booth 605, next to Laser Tag, for your convenience. Bay Area friends, stop on by, watch a ton of comedy and music and look at some cool new books! New Video – Math Brain! Happy Pi Day! I’m in this rad 80s PSA about women and math by Cate Scott Campbell. If you have a brain, you have a Math Brain! Update – we just got featured on Ms. Magazine, BUST.com and Amy Poehler’s Smart Girls! I’m in this new spot for Pepsi in which I kick a copier. This fulfills a lifelong dream. “Restart Me Up: The Un-Authorized, Un-Accurate Oral History of Windows 95” sold out its first printing. Holy crap! The second edition is now available and it makes a great holiday gift! If you’ve already purchased the book on Amazon, why not leave a review? One sentence is great and helps other readers find the book. 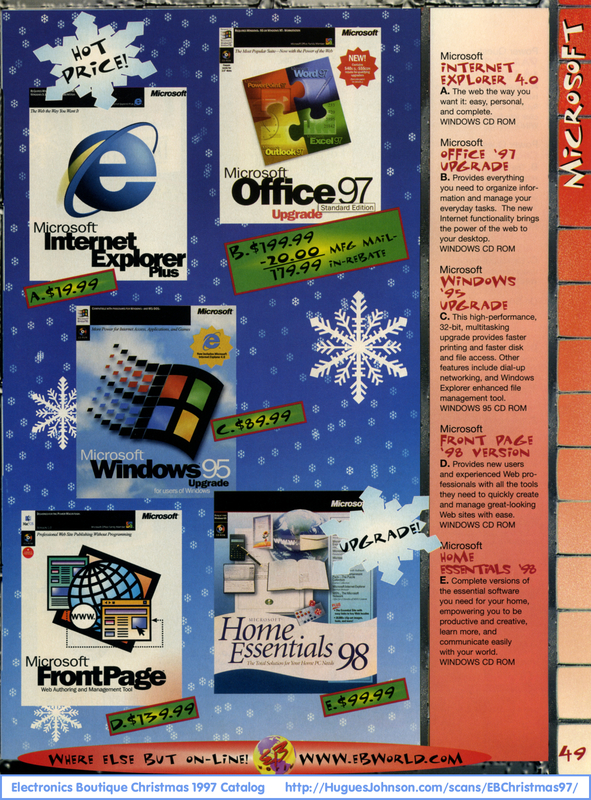 Also, how sweet is this vintage Microsoft ad? I’m in this very silly fake PSA video for AOL/Huffington Post. Taye Diggs reads me a story!